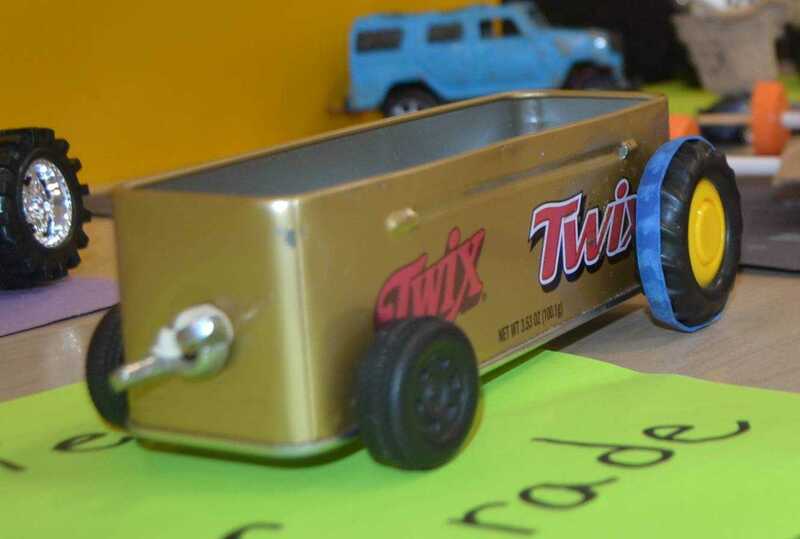 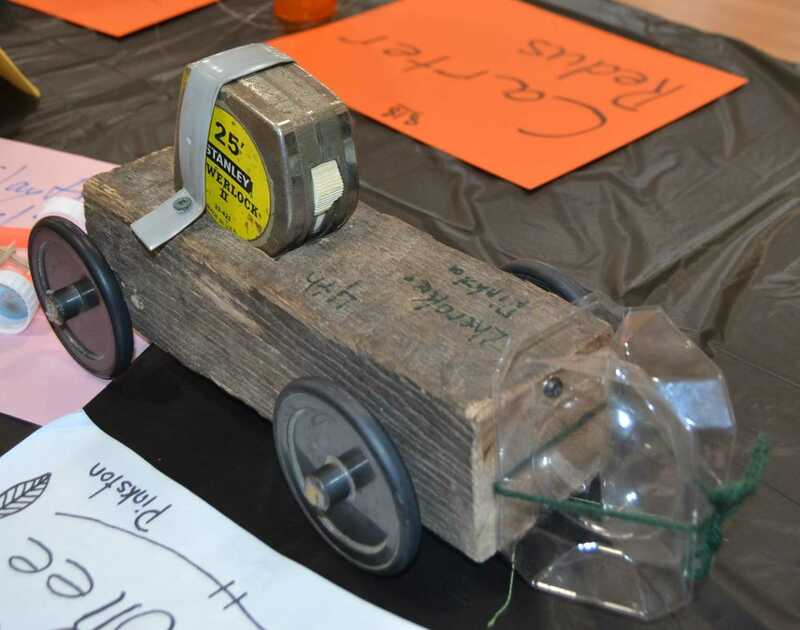 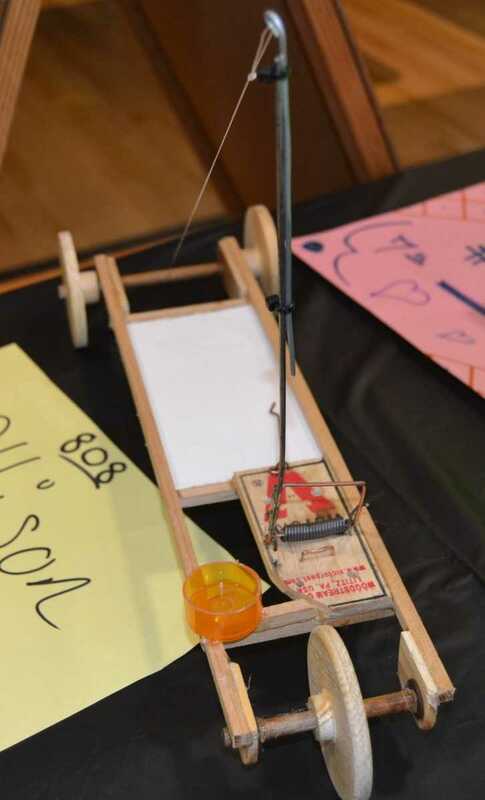 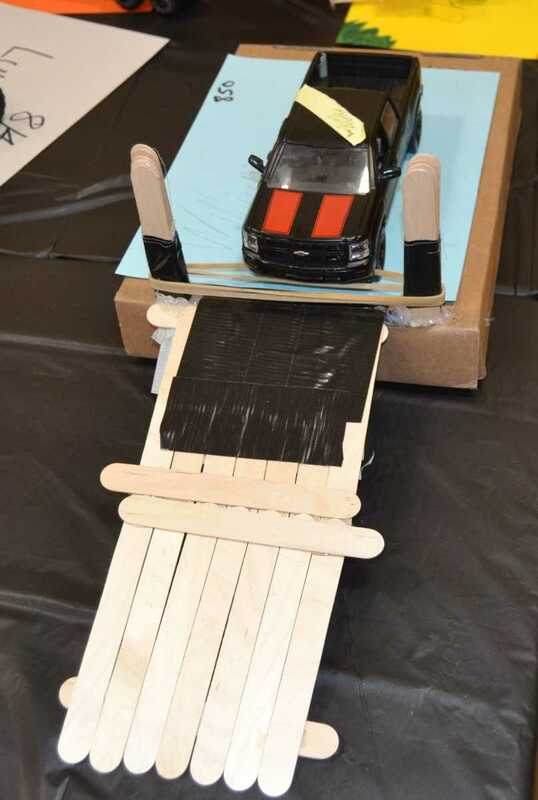 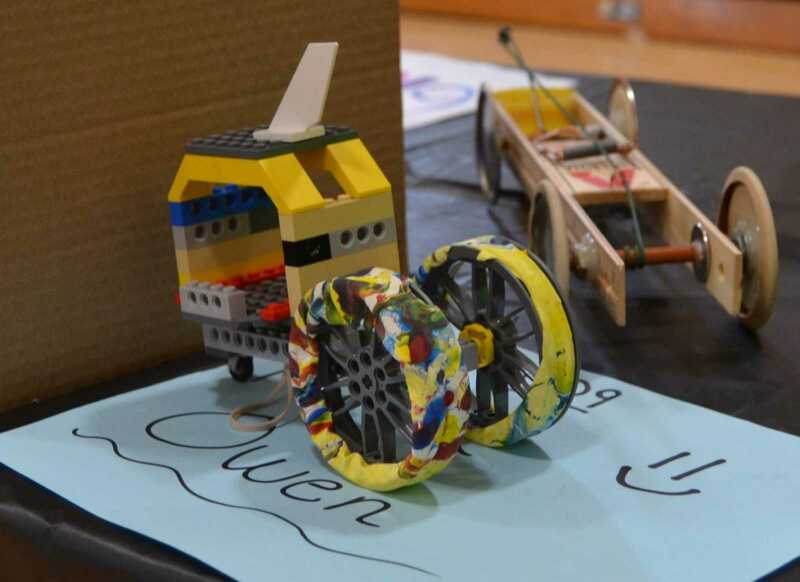 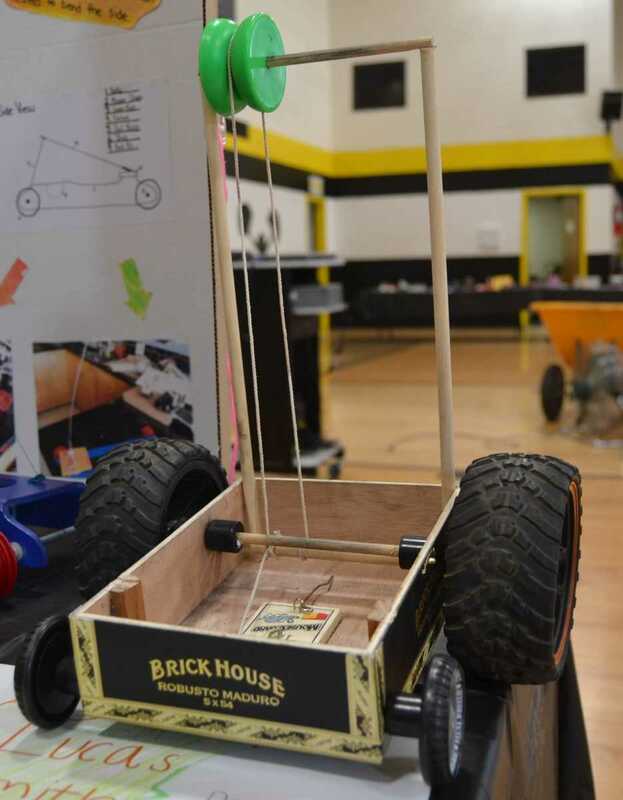 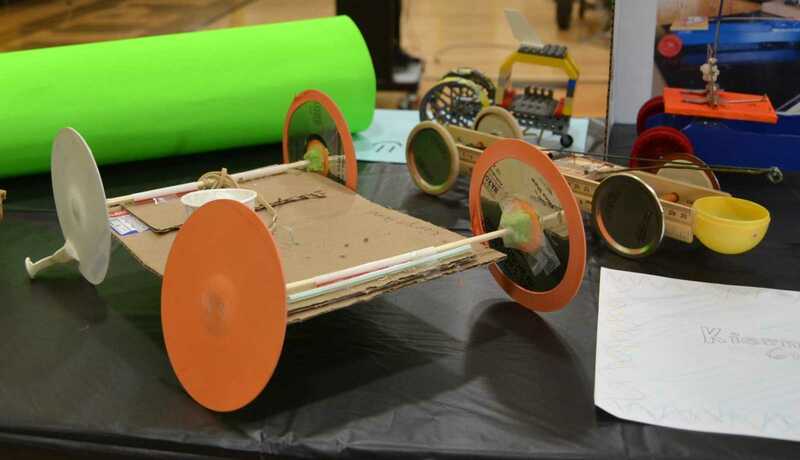 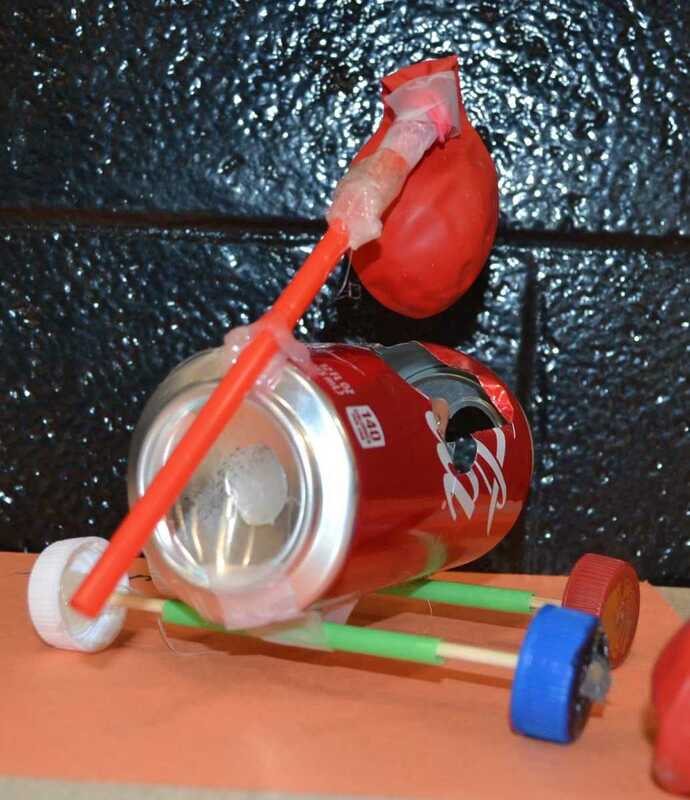 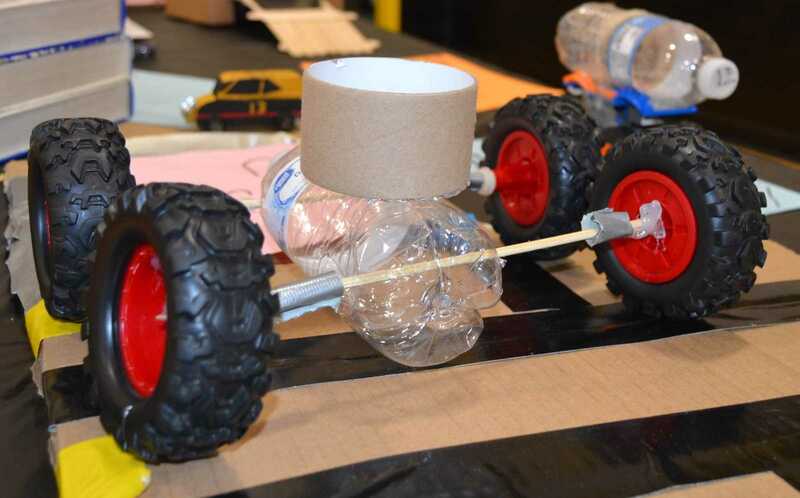 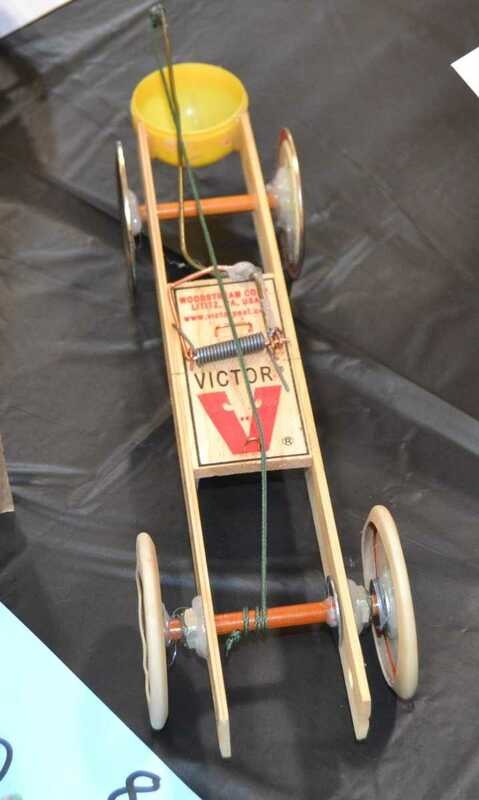 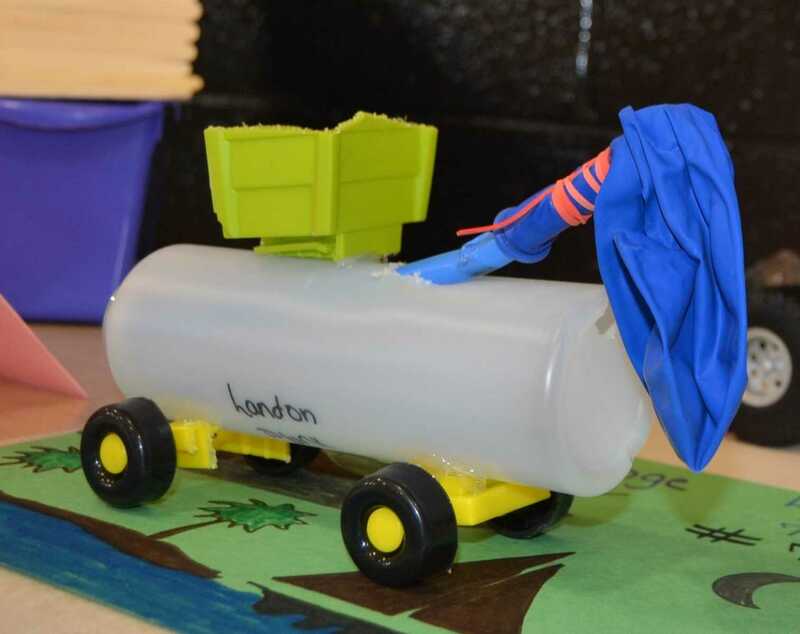 Doniphan Middle School science students faced the task of designing and building a vehicle to transport a ping-pong ball across a distance of 2-4 meters. 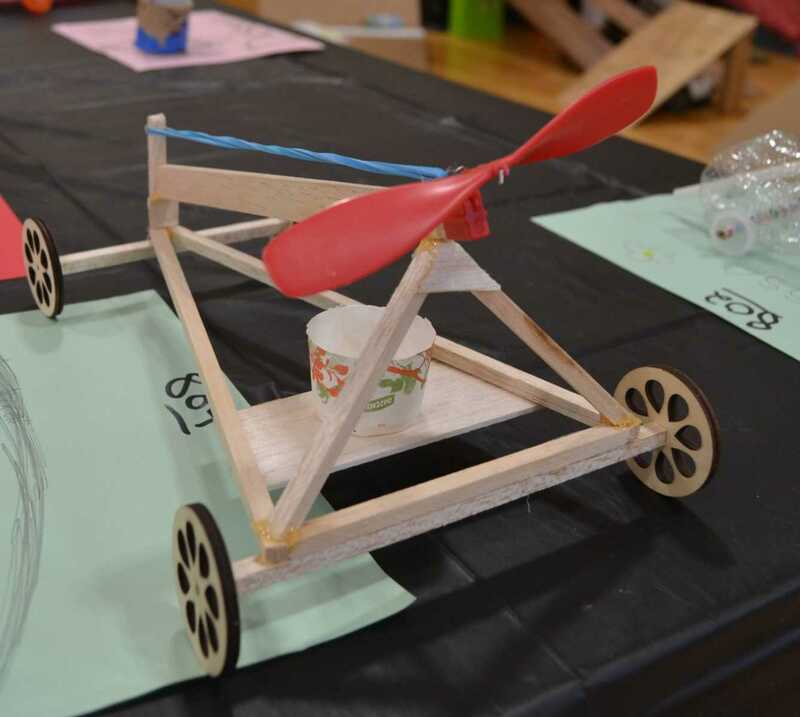 It's all a part of the Design Challenge each semester emphasizing the STEAM method of education mixing science, technology, engineering, art and math. 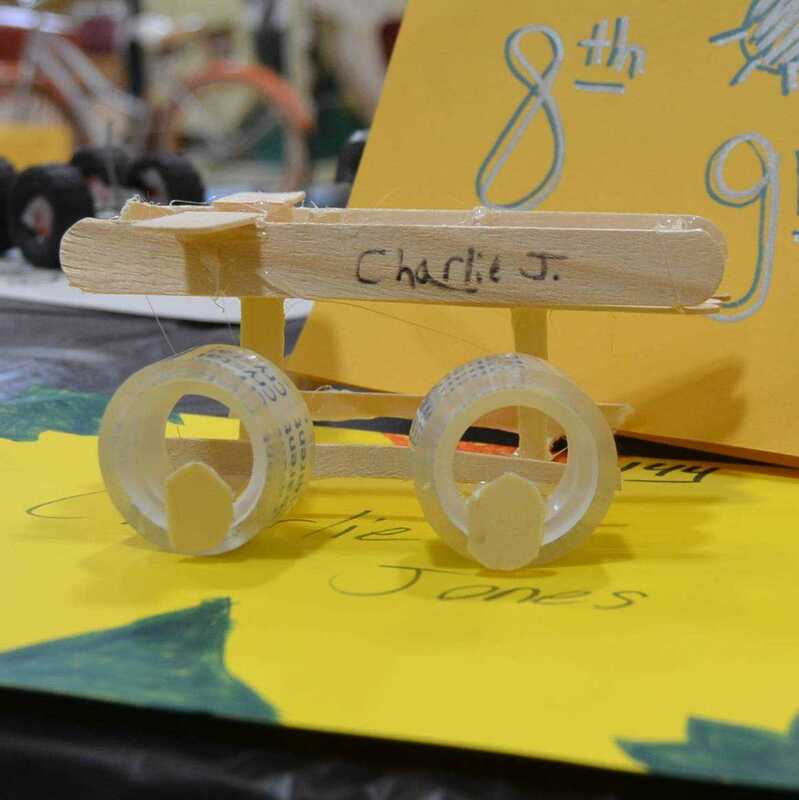 Winners were announced during a school assembly held March 28. 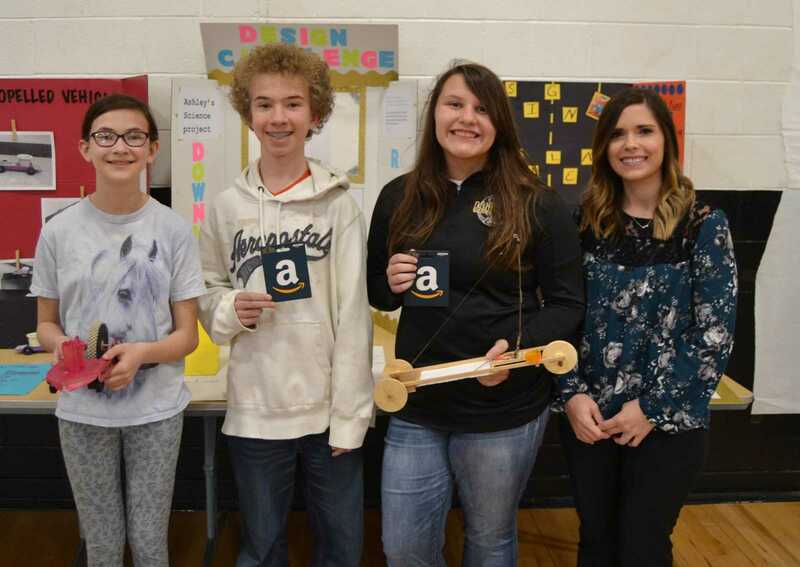 Cheri Pulliam (left) and Alicia Alfonso (right) present cash prizes from Peoples Community Bank to the first-place winners in the Doniphan Middle School Design Challenge. 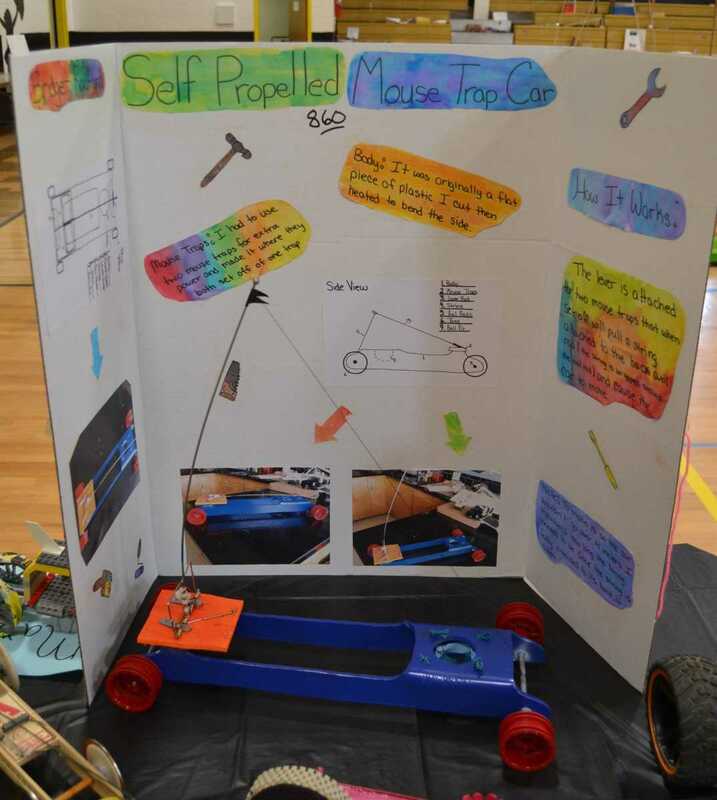 Winners (starting second from left) were Lucas Smith, sixth grade, Christa McKinney (seventh grade) and Bridget Radford, eighth grade. 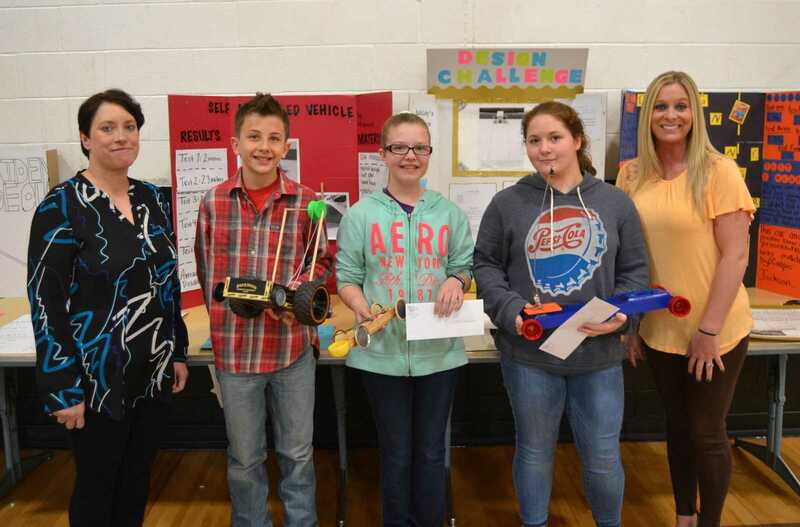 Marybeth Cosgrove (right) presents prizes from Southern Bank to second-place winners in the Doniphan Middle School Design Challenge. 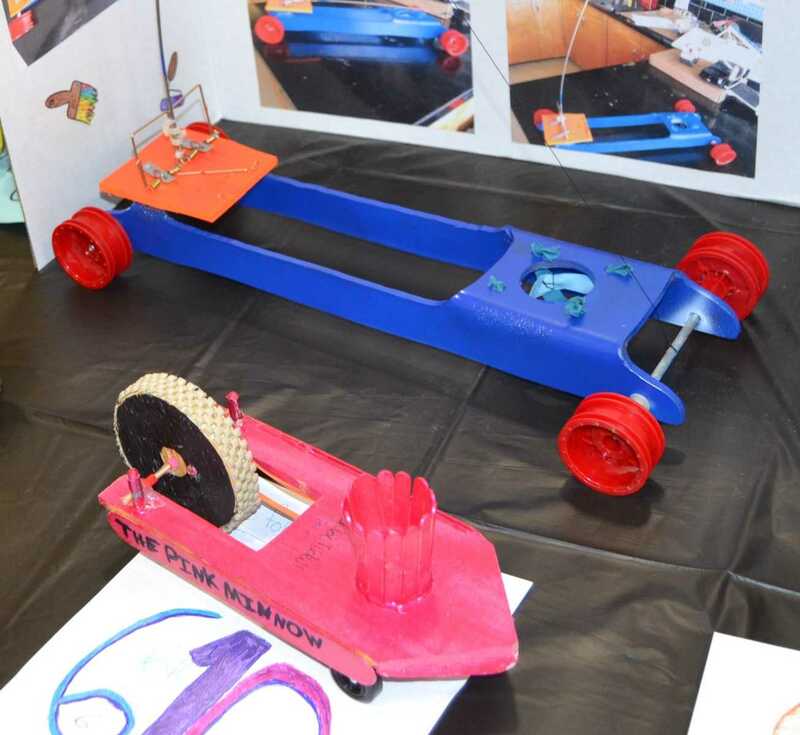 From left are Chloe Nickell, sixth grade, Jacob Williams, seventh grade, and Allison Crumley, eighth grade. 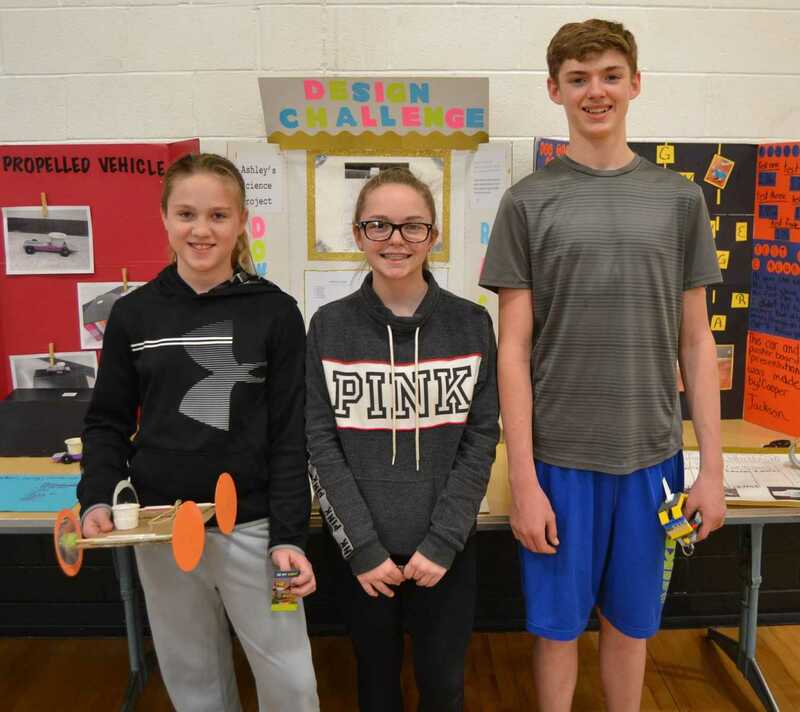 Third-place winners in the Doniphan Middle School Design Challenge are (from left) Kiernyn Bond, sixth grade, Heather Kirk, seventh grade, and Max Owen, eighth grade.